Peter was born in the New Zealand coastal town of Wanganui. He moved to Melbourne in 1981 and completed a four year cookery apprenticeship at William Angliss College. He cooked in Melbourne restaurants for five years before travelling for a year throughout Asia. This was to become the greatest influence on his culinary style. In 1989, after two years running The Sugar Club kitchen, Peter and Michael McGrath made the move to London, where Peter gradually introduced his eclectic style of cuisine, now called Fusion. After working in several UK restaurants, a private country home and event catering, he set up the kitchens of The Sugar Club in London's Notting Hill (1995) and West Soho (1998). Peter left The Sugar Club in November 1999 to begin various solo projects, culminating with the opening of The Providores and Tapa Room in August 2001. So tell us where it all began. Where does your love of cooking come from? What's the first thing you remember cooking? An apple pie with my mum. Pastry top and bottom. Shiitake and miso risotto at home last night. The Providores, is an English/New Zealand fusion. New Zealand cuisine isn’t as well known as others over here so what can we expect? The Providores and Tapa Room is actually 14 years old and the cuisine is international fusion. You can expect dishes that taste wonderful whether or not you recognise all the ingredients. I like to use the world as my pantry and so if it works, even if it’s unexpected, you’ll see it on my menu. People are fairly familiar with the idea of fusion now - our customers understand where we’re coming from and love the combinations. Which three ingredients could you completely not live without? And what’s your most indispensable tool in the kitchen? I love a food processor! What's your guilty pleasure? Food and drink? I’d like to end my life doing what I love, so I’d cook, with help from my sisters. 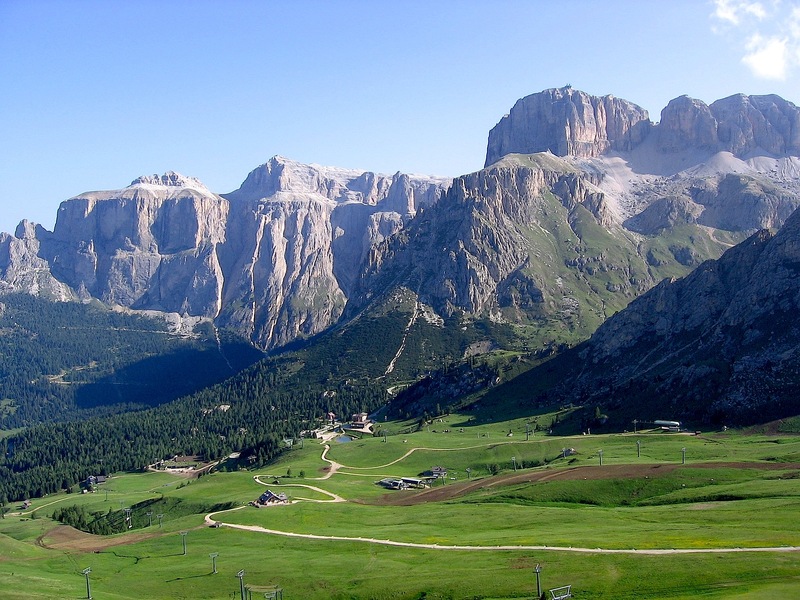 We’d be on top of Sella Massif in the Dolomites, a place I recently discovered on a ski trip – it feels as if (Ayers Rock) had been dropped on top of the New Zealand alps. It would be huge supper with everyone I love there - an open invitation to friends and family. No brainer, starters would be New Zealand whitebait fritters with lemon, (not to be confused with British whitebait- totally different). Only available for a tiny seasonal window and incredibly expensive, they are more like elvers, and are only found along the western coast of New Zealand. They would be followed by a rich and warming duck coconut curry on a bed of sticky rice with handfuls of fragrant fresh mint, coriander, spring onions and crispy shallots scattered all over. For dessert there would be chunks of Alphonso mango with mascarpone, almond cantucci biscuits and big juicy lime wedges. These mangoes are only briefly in season from April, so I’d have to strategically plan this send off. Libations would be bombardino (an eggnog laced with spirits and topped with whipped cream) for everyone to start and there would be the last bottles of Waitaki Braids pinot gris and pinot noir (a vineyard I co-owned in New Zealand) that we have on the list at The Providores for dinner, all washed down with some lovely grappa. Who would be at your fantasy dinner party? Marie Curie - a pioneer and a brilliant mind - eventually killing herself by carrying her work in her pockets! Charity work is very close to your heart. Can you tell us a bit about 'Who’s Cooking Dinner'? In 1998 I was approached by Hammersmith Hospital to see if I'd donate 2 of my cookbooks to a charity which was then called Leuka 2000. As it happened, I'd actually been a bone marrow donor to my youngest sister Tracey in 1995, and she is still alive and well and has since become a food writer - which she attributes to my marrow. Often I'd been one of four or five chefs at a charity dinner where I would cook just one course, and while these dinners are great, and fun, I wanted to create something unique. I talked about this with Leuka committee members and In that initial meeting the seeds for the annual dinner were born - its name is Who's Cooking Dinner?. On the evening of the dinner there are 20 chefs and 20 tables of ten guests assembled. Each chef has created a unique 4-course dinner, with matching wines. No menu will be the same. The names of the chefs, and the guests, are drawn from two 'hats' and it's only at that point that the guests know who will be cooking their menu, and what they'll be eating. It's fabulous. The camaraderie in the kitchen is wonderful. The chefs are all at the top of their field, working in cramped conditions, working alongside friends and strangers. The vibe is wonderful and the food is superb. So far we've raised over £5 million and we're still going strong. All money raised on the evening goes towards supporting research into the causes and treatment of leukaemia and other blood cancers. Despite great advances, more research is still needed to find better treatments and cures.